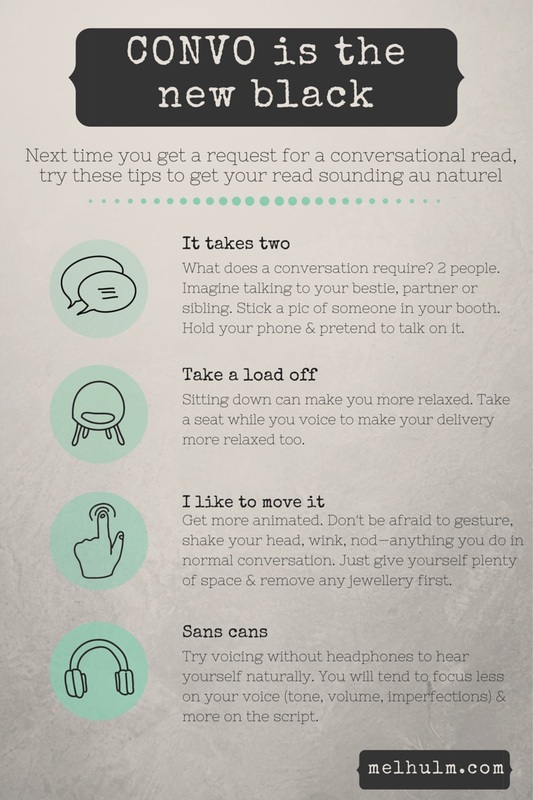 OK, so the conversational read request has been on-trend in the voice over world for some time now, but surely I’m not the only voice suffering from extreme conv-usion! as if it’s part of an interaction with another person? While all of these styles are examples of the intent behind the conversational direction I have received for various reads; it is the last descriptor that I see as the true definition of conversational. And in interactions with others you may be friendly, excited, angry, sarcastic, indifferent—whatever emotion the script calls for. See what I’m getting at? Conversational to me is less about tone, pace and inflection and more about the message and dynamics of human interaction. The tone, pace and inflection should naturally follow. There’s no denying that the script is a critical component. Conversational in commercial reads can be tricky. Commercial scripts are not conversational by nature. Their purpose is to sell something with a distinct call to action all wrapped up neatly into 30 seconds. Not the best fodder for a conversation—when was the last time you suggested to a close friend that they really needed XYZ product in their life and then proceeded to rattle off a phone number and website address? While explainer and corporate videos don’t have the same constraints as commercials, these are often scripted in a presentational style. This gives a one to many dynamic rather than a one-on-one interaction. It gets a little easier with audiobooks, gaming and animation as you are usually working with other characters (or voicing them!) so you get that interactive element. Plus not requiring a call to action removes the ‘selly’ vibe. These jobs really draw on your acting skills too. 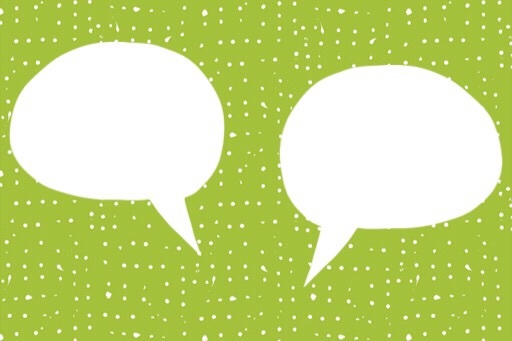 With so many possibilities and interpretations, it really pays to provide samples—so there is a shared understanding of what conversational actually means for any given script.